Heeft u een vraag voor Amor Farm Beach Resort? Voor reizigers die voor de bezienswaardigheden van Donsol komen, is Amor Farm Beach Resort een perfecte keuze. Het stadscentrum is slechts 44.5 km verwijderd en het vliegveld kan binnen 60 minuten worden bereikt. Dankzij de praktische ligging, biedt de accommodatie eenvoudig toegang tot alle belangrijke trekpleisters van de stad. De faciliteiten en diensten die door Amor Farm Beach Resort worden geboden, garanderen een plezierig verblijf voor gasten. Deze accommodatie biedt ter plaatse vele faciliteiten die zelfs de meest veeleisende gasten zullen tevredenstellen. 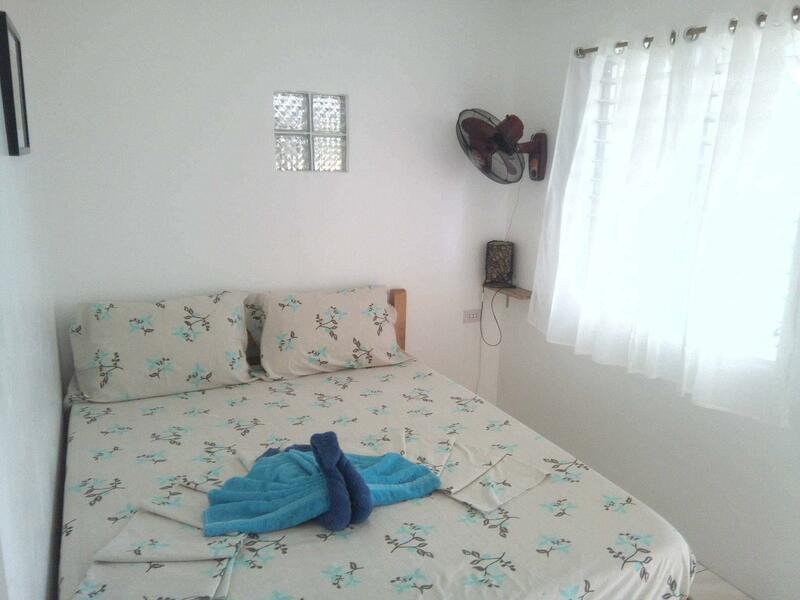 De ambiance van Amor Farm Beach Resort weerspiegelt zich in de inrichting van iedere gastenkamer. spiegel, handdoeken, rookvrije kamers, airconditioning, bureau zijn slechts enkele van de voorzieningen die u ter beschikking staan. Of u nu van fitness houdt, of gewoon lekker wilt ontspannen na een drukke dag, het kan allemaal dankzij recreatieve voorzieningen zoals privéstrand, massage, kinderspeeltuin, tuin. Ontdek een boeiende mix van professionele service en een breed scala aan voorzieningen in Amor Farm Beach Resort. Voor gebruik van de warme douche wordt een toeslag van 200 Filipijnse peso in rekening gebracht. Prijs/kwaliteit top! En nog eens heel aardige personeel! Taalvaardig en vriendelijk personeel. Direct aan de zee gelegen, goed restaurant. Prima, een aanrader, goed gelegen voor whale shark spotten en voor het duiken met de mantarays. Best location near the whale shark tours :) loved our stay! The place is really big. Its very comfi and homey. I was sick when we were there and the staff are awesome! They are so kind and making me feel comfortable and takes care of me without even asking for any additional payment. They provided me anything that i need. They even offer if I want to change my room. They make a tea with ginger and honey for free! Bought me meds in town. I will be happy to be here again and again!! Everything is good except for the food, not that good but enough to fill our stomach and the beach is okay. 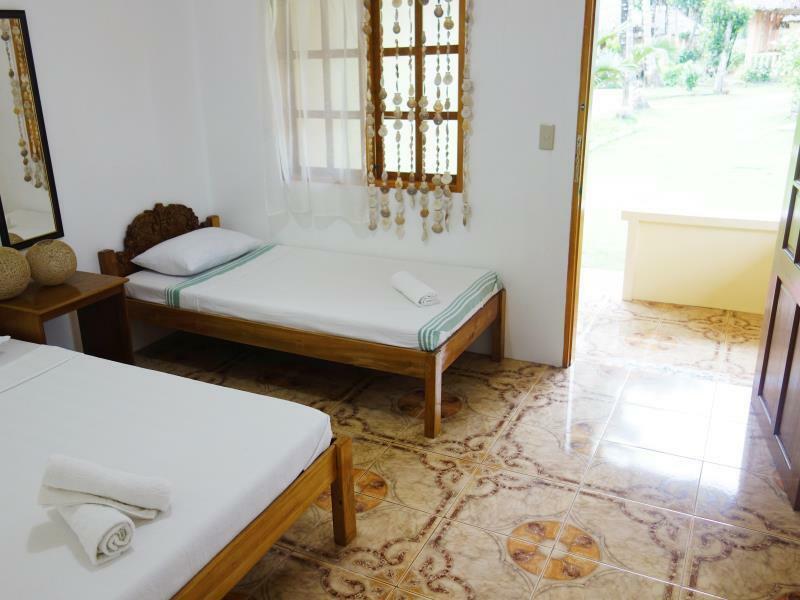 The resort is clean and staffs are well accommodating and attended to our needs and requests. I got the standard fan room right by the beach and while there’s no hot water, everything else is great. The food - Bicolano dishes - is excellent, and so is their brewed coffee and hot chocolate. WiFi is okay, Globe LTE/3G really fast. For the price, it’s hard to beat if you don’t need any frills. The accomodation is ok but don’t value the price. The staff is not really nice. Only the Lady owning the place is ok and speaks a very good english. The restaurant is open but the first day I was sayed that they weren’t serving food..... and they were serving other guests. I told the lady owning the place, and she told me that they were serving food... super weired. The waitresses say yes for a dish to one client and for the same dish no to another client. Not very polite. Better to go to the Vitton’s hotel restaurant than there. Or go down town to eat, the prices will be 3 times less expensive, more tasty and nice people serving. Wifi veeeeery slow! Take a sim card, it will be better! Take also an electric adaptater to charge your devices. A looooot of mosquitos, so bring repelante. They provide laudry, which is nice. Positive point: very close to the whale-shark office. The owner was incredible, she truly went above and beyond ... bandaging up my foot daily, liaising with my next hotel to coordinate a shuttle, letting us keep our room later and use the showers, great tour/travel advice and arranging a 5.30am massage. 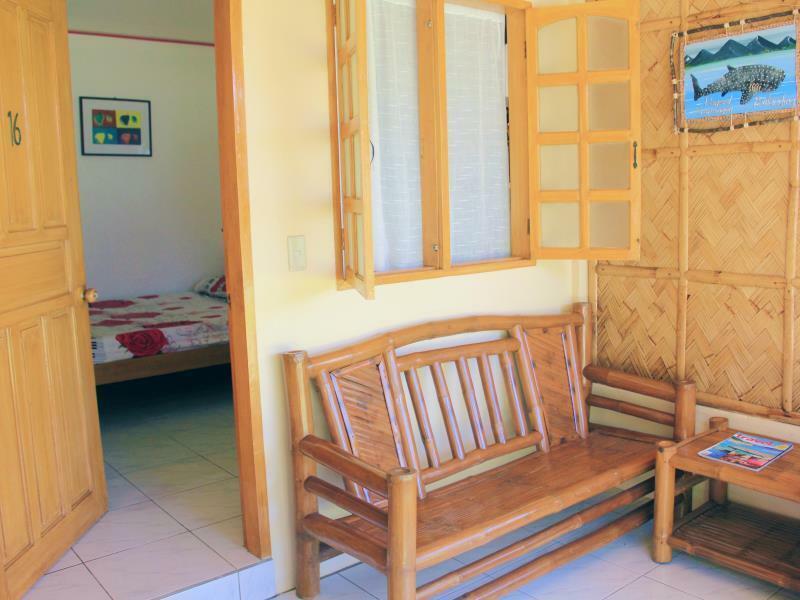 The rooms are clean, lovely food, sweet helpful staff, beautiful quiet sunset beach and short tricycle ride (or walk) to tourist centre or little town (bank). Definitely recommend! PS. If you want to do Whale shark tour, I strongly recommend you take a private boat (from tourist centre) and leave before or after the rush of tourist boats. Incredible experience. Lots of ants in our room, the shower didn’t drain well and took a good few hours to get rid of the 2 inches of water on the floor. Good stay otherwise - good food and lovely staff. Great location for whale shark watching too. Dear Charlotte. It's good to hear from you. 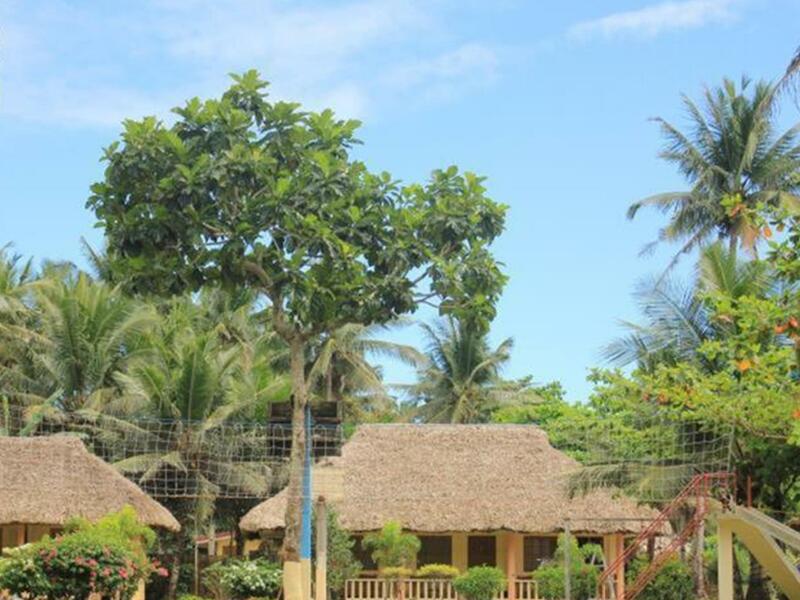 We truly appreciate your time for making a review of your stay at Amor Farm Beach Resort. Our maintenance team is now looking into this issue and is being fixed. I'm sorry for the inconvenience it has caused. We hope you could have stayed longer and we could have moved you to another room. Nevertheless, we would be glad to have you back the next time you visit Donsol again and will make sure we will make it up to you. We found it a really nice place and quiet. Very relaxing. We where there only for the whale shark sightseen and apart from that there is nothing much to do, although we enjoyed the three days a lot. The food in the resturant is good and cheap and the crew is very friendly and helpfull. Good choice. It is a relaxing resort with a family appeal. It is generally quiet, peaceful, and you can enjoy the seaside view at peace. It is also very near the dive resorts. It has a decent restaurant. Great value for money. We enjoyed our stay very much. The staffs are very friendly, the cottage is very clean and we like the atmosphere very much. the most importantly, with luck, we swam with a few whale sharks! the massage lady Sheila of the hotel has great skills, highly recommended! Really liked the outside part of the resort - very nice, calm and peaceful nature, also great people and food only the room was a little disappointing - gloomy and with some bugs - would prefer for it to be nicer/newer. But given that we mostly stayed outside, we enjoyed our time here. Nice location, efficient service and very polite staff. Restaurant has good menu with reasonable pricing. The only thing I noticed is they don't clean the rooms daily automatically but they will upon request. I had a fan room which I found out meant cold water....and no provision of toiletpaper? The young staff didn't inform me it was only 200p more per day to have hot water. A instruction of how to use the system would be handy: 2 showerheads and numerous buttons still resulted in a drizzle This is why it could be perfect, a little sign in the showers about these things would cause less confusion and questions + generate more income.